by Liz Savage, Guest Blogger Memory foam, dual-air technology, cushion firm, ultra-pillow top. Picking a new mattress requires wading through a stream of jargon. But do any of these features make a difference in your back pain? Is the $5,000 mattress really that much better than the one for $500? In the search for a mattress that soothes your back woes, a little skepticism will serve you well. Let’s take, for instance, Sleep Number’s claim to be “the only mattress clinically proven to relieve back pain.” You might think, great, I’ll take two! But before you plunk down a few thousand dollars for a premium Sleep Number mattress, let’s take a closer look at this clinical study. Sixty adults with chronic back pain were recruited to the study, which was conducted by researchers at Sister Kenny Institute at Abbott Northwestern Hospital in Minneapolis, and Physical Therapy at the Marsh Health Center, a diet and fitness center in Minnesota. Each study participant received an unmarked Sleep Number bed, which they slept on for 28 days before switching back to their old innerspring mattress. The participants recorded their pain levels and sleep quality before and after using the new mattress and after switching back to their own mattress. Sleep Number concludes that this research showed “the Sleep Number bed provided improved pain relief and sleep quality for a statistically significant number of subjects with chronic low back pain. 93% of subjects reported back pain relief and 89% reported improved sleep quality.” These numbers might sound impressive at first glance. However, because of the design of the study, it’s actually impossible to know whether the Sleep Number really improved sleep and back pain relief, or whether any new mattress would have done the trick. 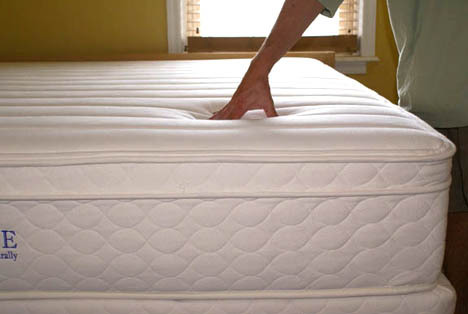 All this study tells us is buying a new mattress may improve your back pain. But you already suspected that—that’s probably why you’re in the market for a mattress. The 2003 study by Spanish researcher Francisco Kovacs enrolled 313 people with chronic low-back pain, who were randomly assigned to either a medium-firm or hard mattress. After 90 days of sleeping on the assigned mattresses, participants on the medium-firm mattresses reported less pain when getting up in the morning, throughout the day, and while lying in bed. Experts interviewed by Consumer Reports agreed. “If a mattress is too firm, it won’t support the body evenly and may cause discomfort at the heaviest points (hips and shoulders). 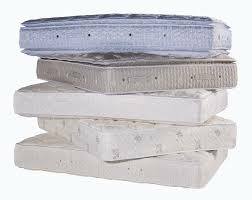 If it’s too soft, a sleeper could sink into the surface and have a hard time moving, which could cause tingling, numbness, or aches,” advises Consumer Reports’ Buying Guide. Alan Hedge, professor of ergonomics at Cornell University, told Consumer Reports that the best mattress maintains the natural curve of the spine, while providing support at pressure points. To figure out which is the “best mattress” for you, Consumer Reports recommends simply testing them out. But give yourself some time at the store—when trying out a mattress, spend at least five minutes on each side and another five minutes on your back. What about the one-sided, no-flip mattresses? On the plus side, you can save your back the pain of hoisting an unwieldy, 100-pound mattress. But industry insiders say this is just a way for mattress manufacturers to cut costs—essentially giving you half as much mattress—while convincing consumers that they are getting a better product.